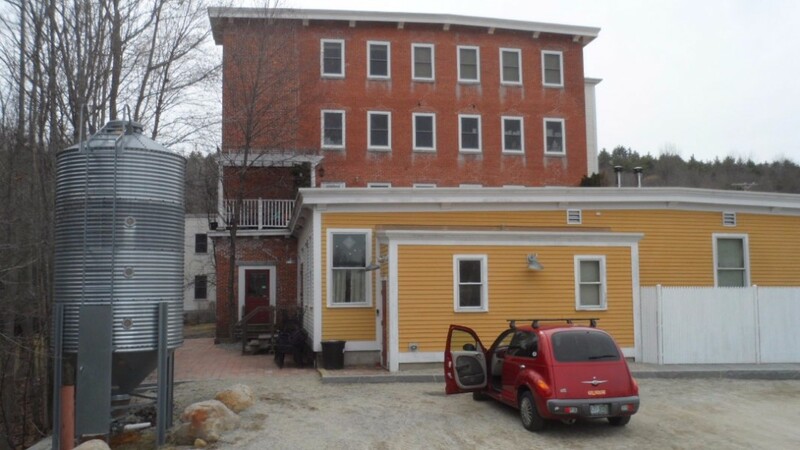 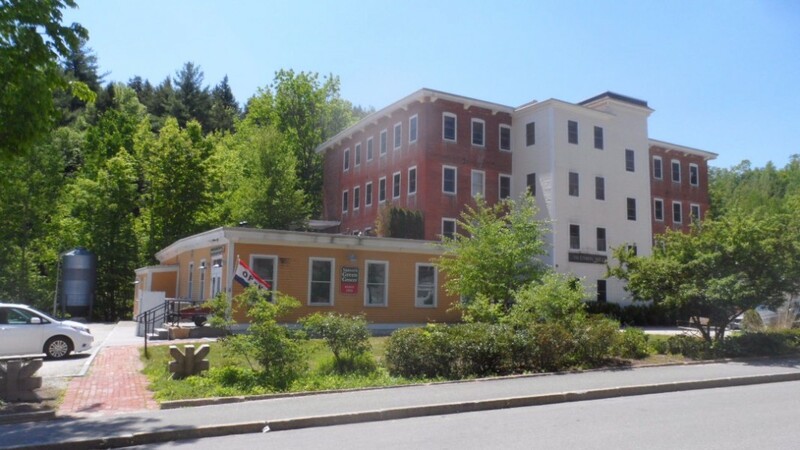 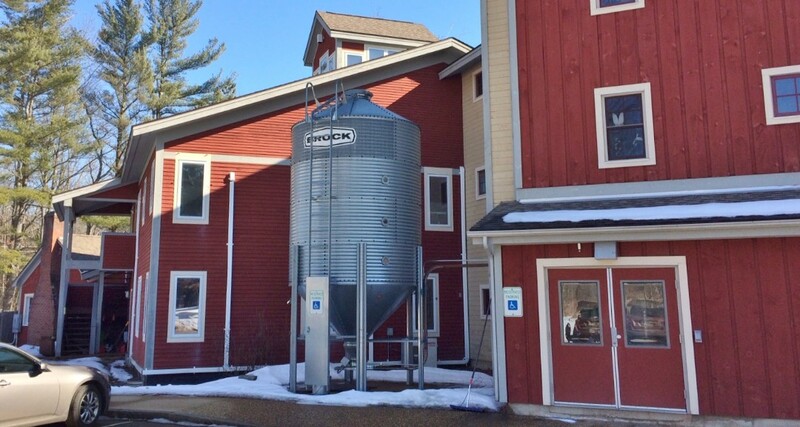 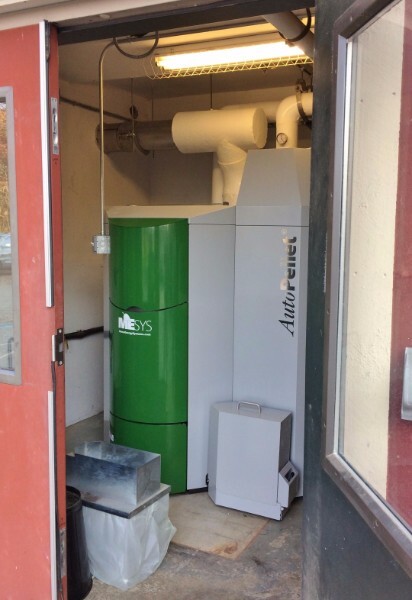 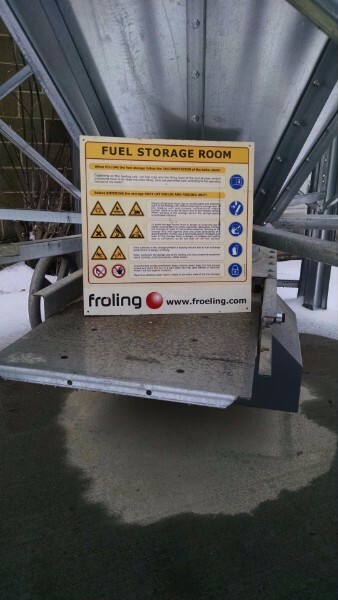 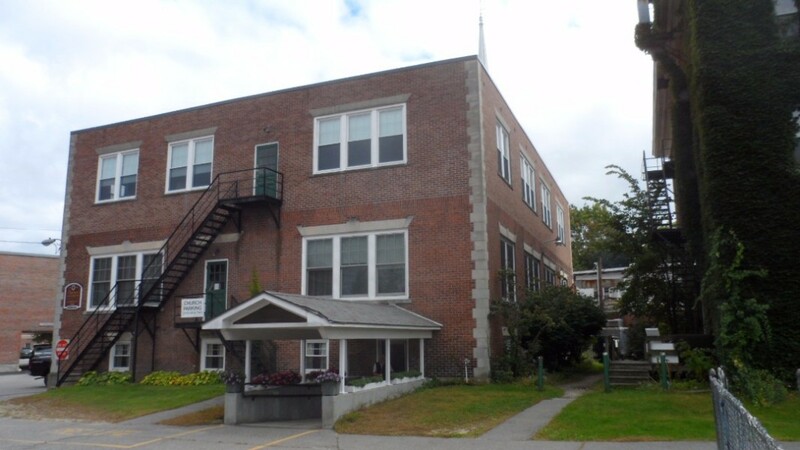 Froling Energy has installed dry chip boiler systems and wood pellet boiler systems in churches, modern manufacturing facilities, apartment houses, downtown commercial buildings, classic old New England mills and new pet adoption facilities. 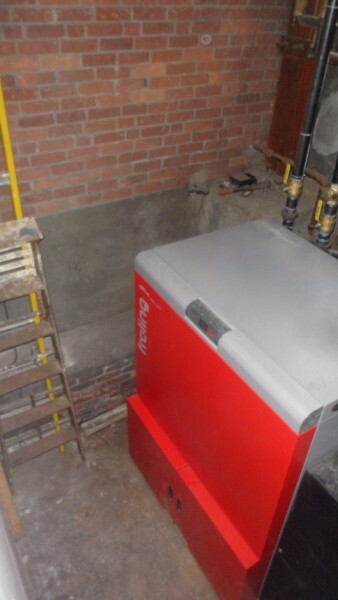 Each type of existing building presents a variety of challenges but it is very likely that we can arrive at an appropriate and economical biomass boiler solution. 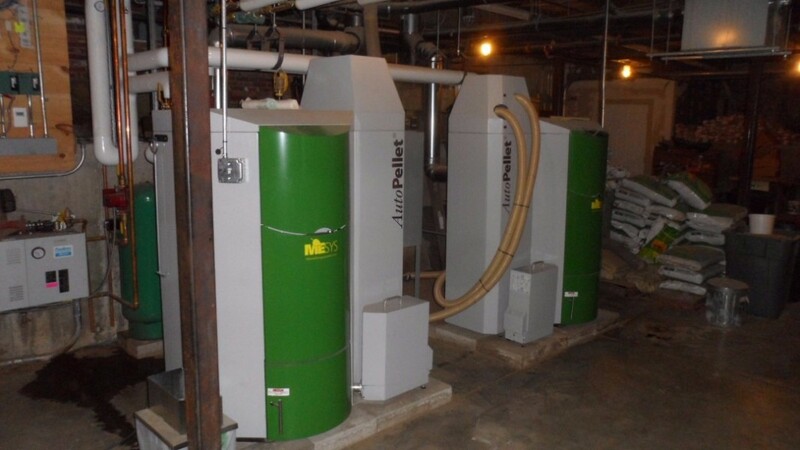 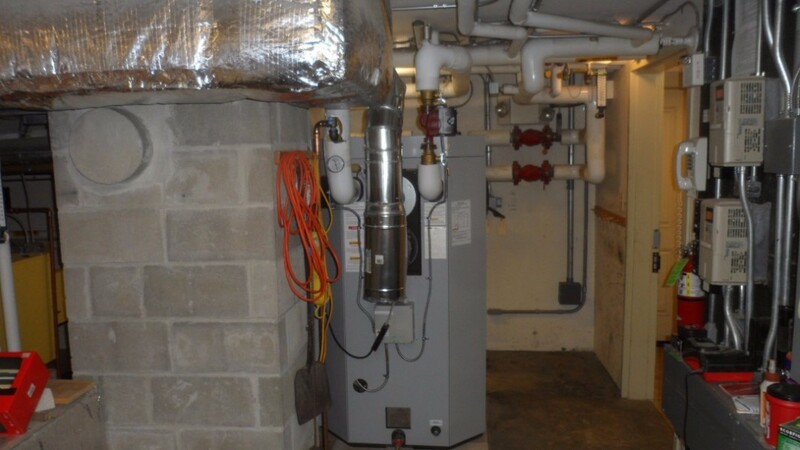 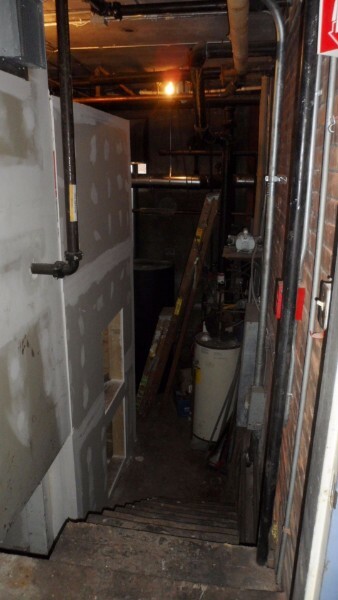 Boilers usually fit into existing boiler rooms (see pictures in slide show at bottom of page) and storage silos are put outside, but we often need to provide a boiler building or build a pellet storage area in a basement area. 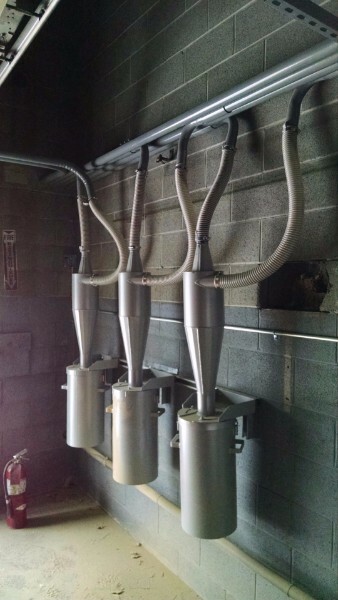 Each site is different. 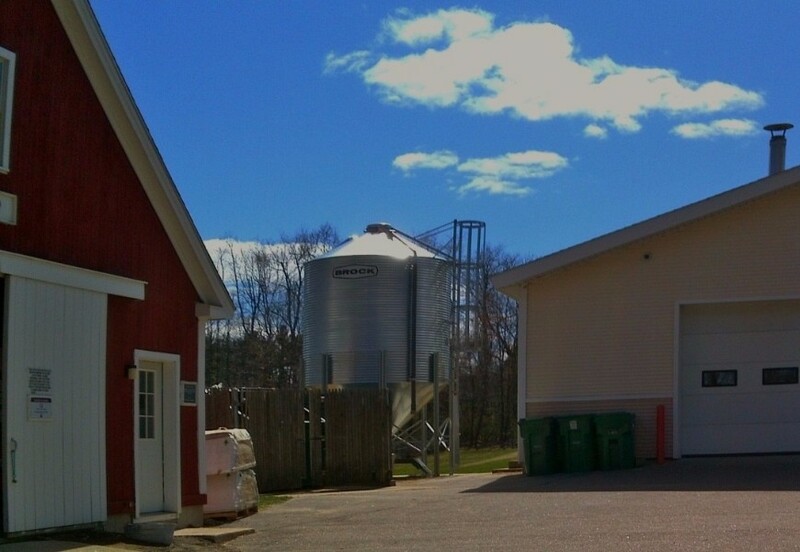 Storage silos must be kept secured. 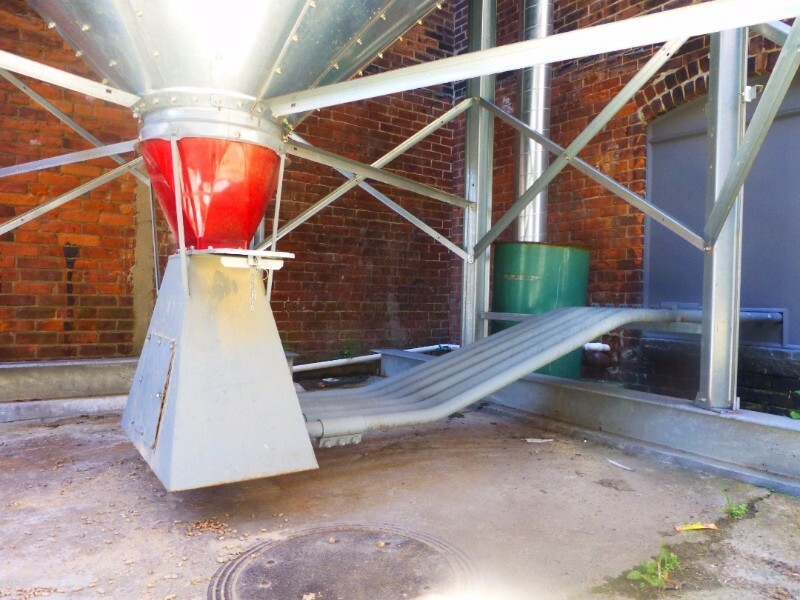 The silo pellet filler is at the rear of the church through a window panel. 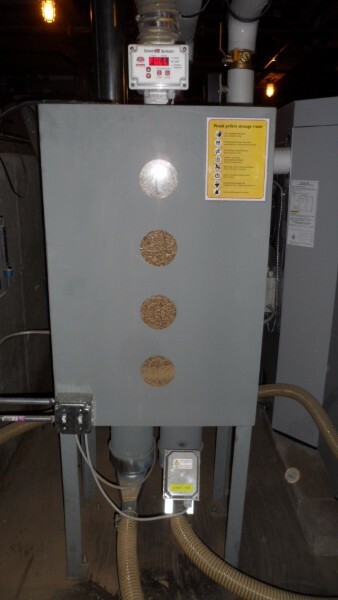 Three cyclones protect the boilers from accumulated pellet dust. 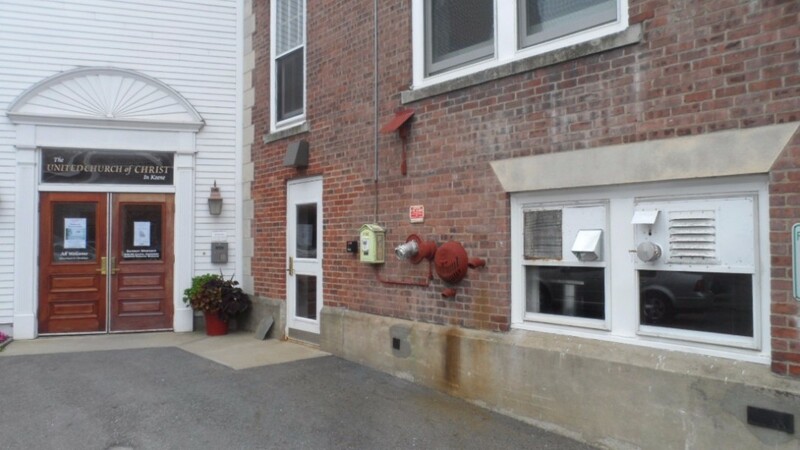 This busy wing houses the boiler room as well as a large meeting room and Sunday school classrooms. 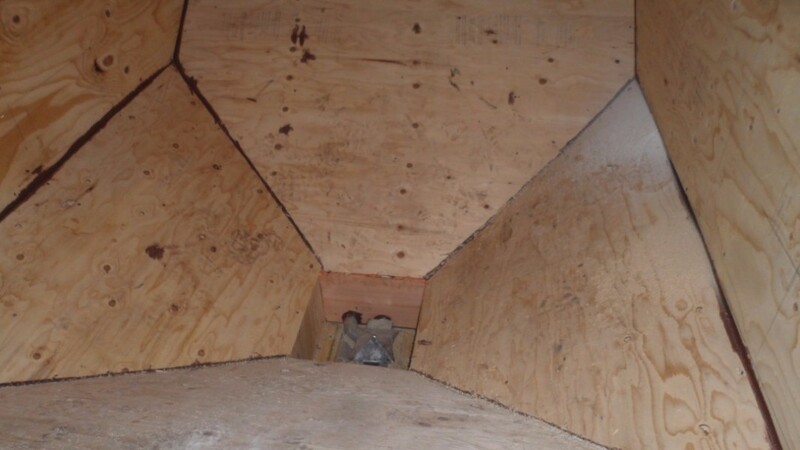 A shot of the inside of the 7 ton capacity pellet bin that was fabricated on site. 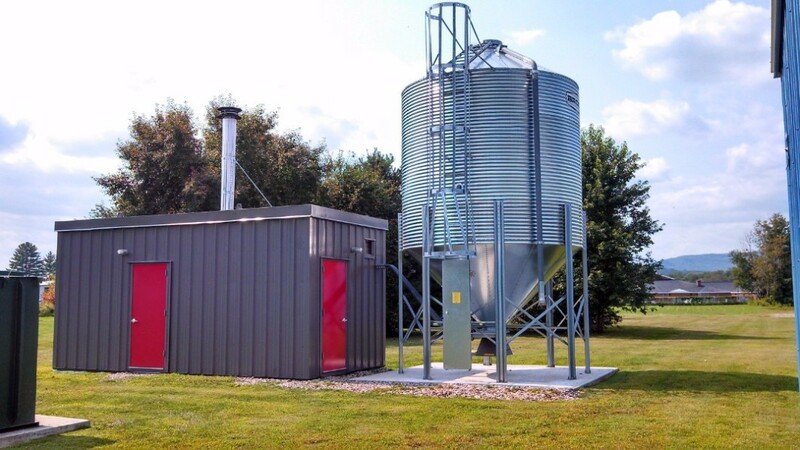 The sheetrock covered structure at left is a 6' x 6' x 10' tall pellet bin. 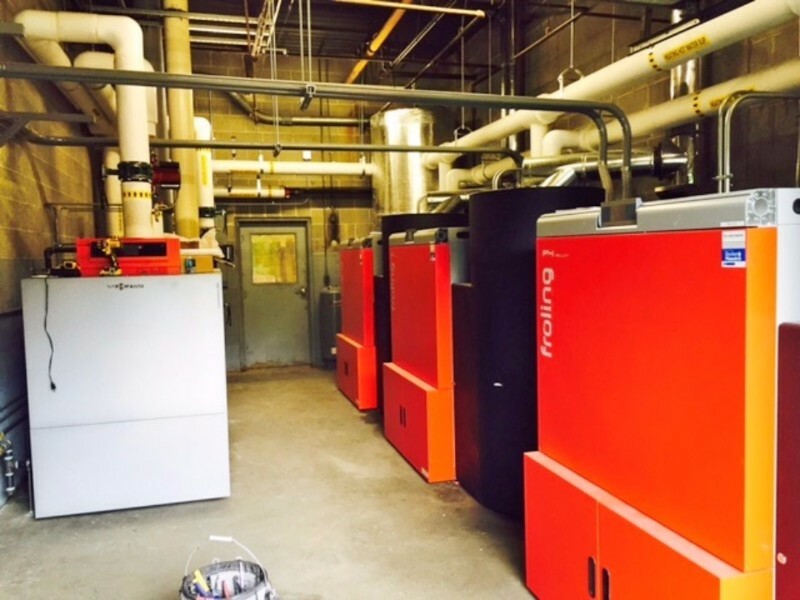 Three Froling P4-100 pellet boilers and a Viessmann Vitorond LP boiler. 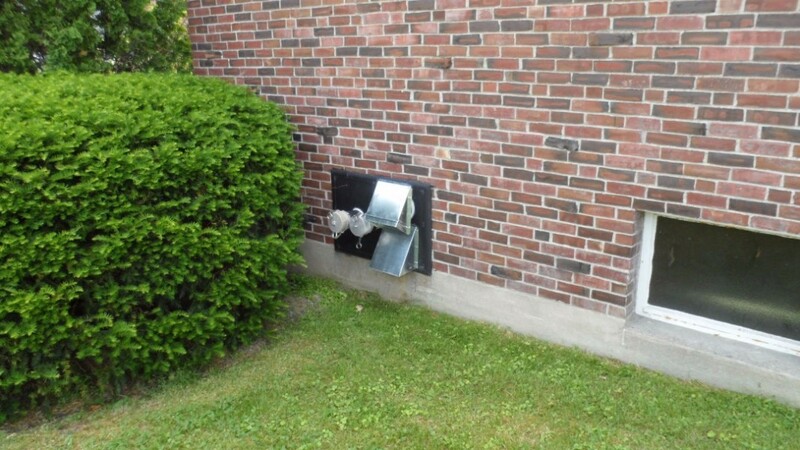 This single Froling boiler provides most of the heat at the church each winter. 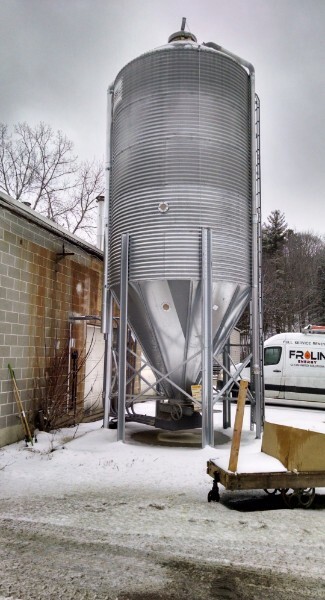 The 9' diameter Farmer Boy silo holds 20 tons. 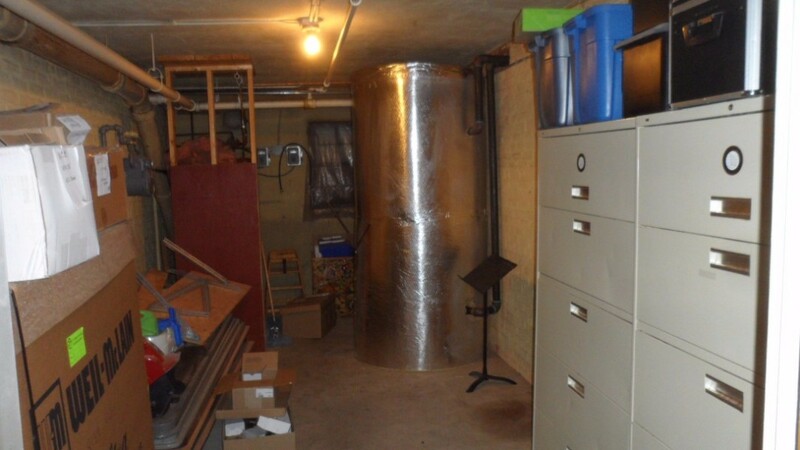 The buffer tank needed to be located in a large storage closet next to the boiler room.